Chimney problems are serious. They must be addressed. But they don’t have to be a hassle. You don’t have to be an expert, you just have to know an expert. The skilled Waukesha chimney experts at Wisconsin Chimney Technicians will give you all the information you need. Our skilled specialists always deliver the finest chimney repair services, affordably priced with a firm, fair quote in advance. Our workers are bonded and fully insured. Your satisfaction is guaranteed. Now, what are your questions…? Don’t see your question? Contact our certified chimney sweeps for an answer or to schedule an appointment. Q: How do I winterize my chimney? Chimneys are meant to provide warmth in winter, but they can also expose a home to cold. Make sure to winterize your chimney by getting it cleaned and inspected before winter sets in. If our Wisconsin Chimney Technicians find any issues we can get them repaired before your home is exposed to snow and cold. Q: Are Wisconsin Chimney Technicians certified chimney sweep? 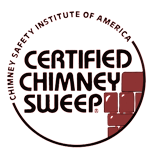 Yes, Wisconsin Chimney Technicians are certified members of many local and national chimney sweep trade associations. 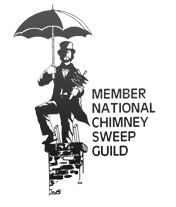 We are part of the National Chimney Sweep Guild and Milwaukee NARI. In fact, our founder Jeff Schmittinger served on the board of directors for both the National Chimney Sweep Guild and the Chimney Safety Institute of America (CSIA). Our lead chimney repair technicians are all Certified CSIA certified and receive year round training on new sweeping methods. Q: When is the best time to have my chimney cleaned? Wisconsin Chimney Technicians sweep chimneys all year long. We recommend getting your chimney swept before cold weather sets in and you start to use your fireplace more. For most Wisconsin homeowners, this means requesting our services in late fall or early winter. At a minimum, you should have your chimney cleaned and inspected once a year. Q: Do chimney technicians needs to access my roof for cleaning? In most cases we do not need to access the roof to clean a chimney. Most of the work is done indoors. If it is safe (no snow or ice) we will check the chimney top with ladders or other devices. Q: Do gas chimneys need to be cleaned? Yes, gas chimneys need to be cleaned and swept just like any other chimney. While gas chimneys do not accumulate creosote like wood-burning chimneys, the chimney itself can still become filled with debris. Animals love to nest in chimneys and may leave traces behind. Leaves and twigs can also fall into chimneys during severe weather. Get your gas fireplace chimney cleaned by our professional sweeps. Q: What is tuck pointing and how much does it cost? Tuck pointing is needed when mortar is worn away on your chimney. The bricks become loose, making it easier for water to enter. This can cause very expensive damage. Gaps in the chimney must be restored or moisture will further weaken them. Damaged mortar needs to be removed, and fresh mortar needs to be applied. It’s chimney rebuilding. Eventually, all chimneys will need some repair. Bricks last for a much longer time than mortar. The cost for for our Milwaukee tuck pointing service varies depending on ease of access, height of the chimney and how much work is needed. It’s well worth scheduling an apointment for tuck pointing with a Wisconsin Chimney technician! Q: What are chimney liners and why are they important? A chimney liner (or chimney pipe) is a long tube which goes down your chimney and is attached to an appliance. It is usually made of aluminum or stainless steel. A liner could be attached to a gas fireplace, wood-burning insert, etc. It’s not a good idea to have a liner installed because mortar is missing or the flue tile is cracked. In such cases, we recommend you deal with the needed repairs rather than simply installing a liner. If you decide to purchase a liner, make sure it is properly installed by a professional Milwaukee chimney specialist from Wisconsin Chimney Technicians. Q: Why is it important to have a chimney cap? It’s surprising when homes don’t have a chimney cap. Perhaps it is missing or was never even installed. Either way, the chimney cap could not be more important. The right Milwaukee chimney cap installation eliminates water from getting into your chimney to damage the liner, mortar and damper. In addition to keeping out birds and animals, a chimney cap prevents sparks and embers from escaping. It stops leaves and other debris from blocking your flue. Installing a chimney cap will enhance safety by reducing the possibility of smoke or fire damage (due to down drafts), preventing carbon monoxide poisoning. Down the line, nowhere near the same level of smoke stain removal services will be required. Q: How do I stop my chimney from leaking when it rains? This is never good! Unfortunately, there could be many causes for leaks. It’s best to immediately call for a Waukesha chimney inspector from Wisconsin Chimney Technicians. Your chimney cap could be missing. Perhaps it was never installed. Many masonry chimneys don’t have one. Also, your chimney crown could be cracked. The crown is the crest on top of the chimney which causes your chimney to shed water. A cracked crown is an overly common cause of leaks. You may need to replace your chimney chase cover. Remember, a chimney chase cover is not for masonry chimneys. They go on top of the “chases” (boxes) for a factory built chimney. Finally, your chimney flashing could be damaged. If it’s sheet metal, the sealant may have deteriorated. It's important you call a chimney expert instead of a roofer when your chimney is leaking. Really, there are multiple possibilities when it comes to the cause of chimney leaks. It’s best to call Wisconsin Chimney for a chimney inspection. Q: Are wood stove inserts safe? The units themselves are safe, but they can generate significant amounts of creosote, producing thick smoke and tar residue. Creosote can block the flue, causing severe problems. Often, the opening of the wood stove is too small, restricting smoke from going up the chimney quickly enough. This causes the buildup of creosote. At its worst, creosote can cause a chimney fire. If you use a wood burning insert, be sure all wood or chips burn completely. Also, have your chimney inspected regularly by a Milwaukee chimney inspector to make certain it remains clean and clear.